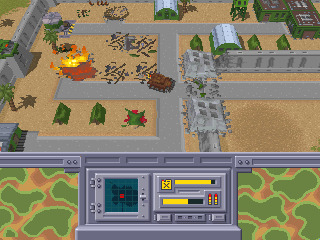 The game was finished for the Sega Saturn. At about that time, Hitachi made a Saturn system that was not 100% compatible with Sega's, and the game did not run correctly on it. We were asked to make the changes which would allow it to run on the "HI-Saturn," and after a bit of back-and-forth, we even received a loaner HI-Saturn test system. But, did not do this work because the project was stopped because the publisher did not belive the the Saturn was going to make it. 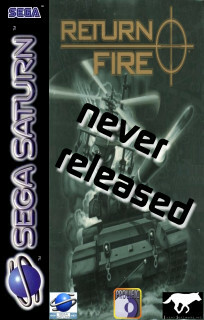 The Saturn version of Return Fire was therefore never manufactured on "protected" CDs and therefore never released.